Save The Date Magnets are a unique way to announce any special occasion. Save the Date wedding magnets are the best way to let your guests know you've set a wedding date. 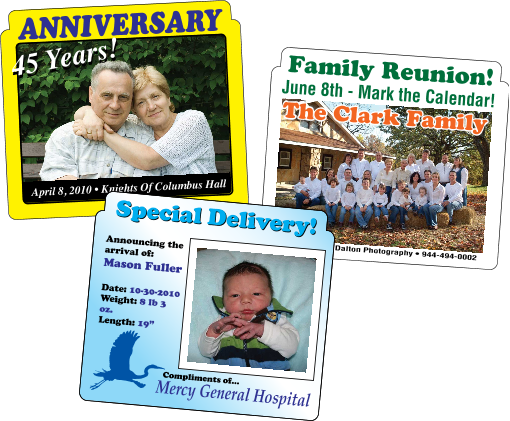 Custom Save The Date Magnets are perfect for family reunions, weddings, anniversaries, birthdays and events. Printed in full color, these custom save the date magnets can be personalized with photos, graphics and your own text - and we offer free design services and email proofs on all save the date magnets. 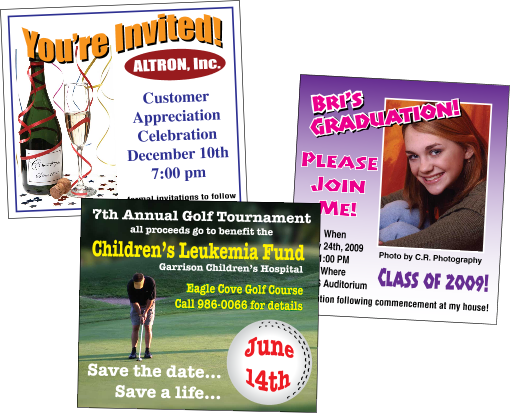 Below are just a few examples of save the date magnets we have produced - we can print these magnets in just about any size, shape or color you desire. Pair up these magnets with our save the date cards so all your friends and family can share in your event. To request a quote on a custom save the date or save the date wedding magnet click here. Quantity discounts available.